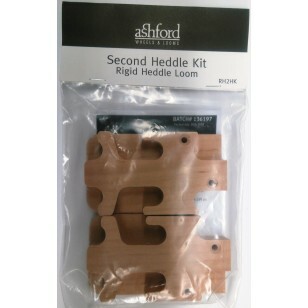 This kit converts your rigid heddle loom to weave with two heddles. Easy to attach as the loom already has pre drilled holes. Create fine fabric and weave beautiful patterns. Buy another reed (the same as the one you already have) and you will double your ends per inch. Weave double width or double layer fabric.